How is that possible? 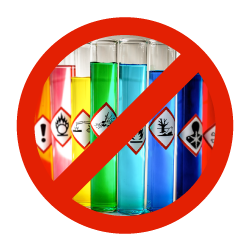 Because commercial companies take manufacturing shortcuts and many other sellers of “natural” detergents don't test their products for purity. The result is a product that not only harms the environment but can also be toxic to humans. 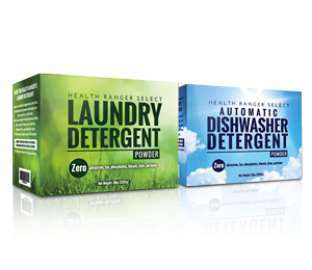 FREE OF CHEMICALS, OUR DETERGENT IS AN ENVIRONMENTAL SUPER-HERO! 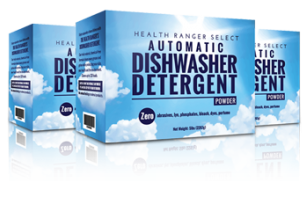 What makes most commercial dishwasher soaps so toxic for the Earth, and harsh on your dishes, are chemicals like 1,4-dioxane, a synthetic petrochemical and carcinogen that harms the environment and humans alike. 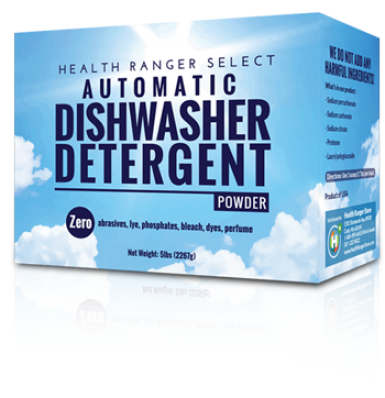 Most dishwasher detergents and other cleaning products are made via ethoxylation, a cheap technique that reduces the effects of the harsher ingredients. But during the process 1,4-dioxane is created. 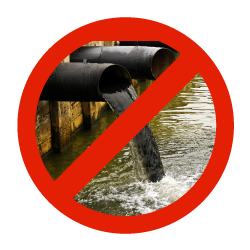 Since 1,4-dioxane is considered a contaminant, technically, it does not have to be listed on product labeling. That is insane, but it's true. ENVIRONMENTALLY FRIENDLY AND ECONOMICAL, TOO! 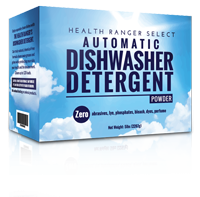 Health Ranger Select Dishwasher Detergent isn't just easy on our environment, it's a great bargain as well. Each box contains enough detergent for 120 loads. So you can have squeaky clean dishes, pots and pans for less money!